Classrooms in many parts of the world are increasingly diverse. International migration patterns have significantly changed the cultural make-up of many industrialised societies and, by extension, their school-aged populations. Such changes are particularly seen in traditional destination countries such as Australia, Canada, Germany, France, Italy, New Zealand, Spain, the United Kingdom and the United States. In this increasingly globalised landscape, schools face significant challenges. 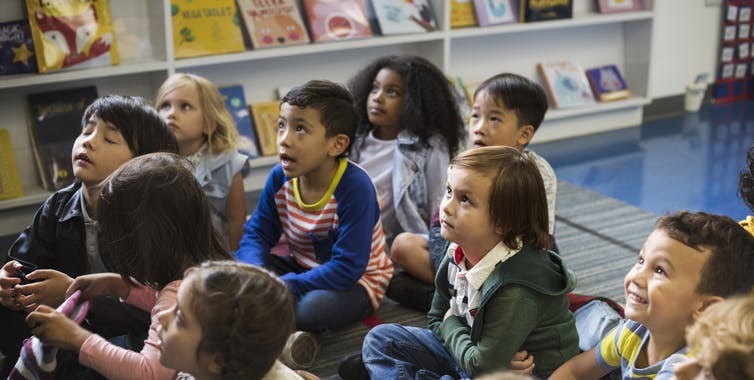 Researchers have documented lower educational outcomes such as student achievement and graduation rates for immigrant students in the majority of countries around the world. In response to these outcomes, more research is being devoted to understanding and supporting conditions for equitable learning. Culturally responsive teaching (CRT) is one idea to support these conditions. CRT is concerned with teaching methods and practices that recognise the importance of including students’ cultural backgrounds in all aspects of learning. To date, much focus in the field of CRT draws attention to the need for a greater diversity of role models and learning experiences in the classroom, and an expansion of teachers’ capacities to truly support and affirm diverse students. As education researchers who have worked with teachers in training, and teachers in K-12 schools as well as teacher educators in Australasia, Africa, Asia, Canada, Europe, U.K. and the U.S., we argue that more attention needs to be paid to an overlooked aspect of CRT: both education systems and individual teachers must develop culturally responsive assessment and evaluation practices to boost student success. CRT is sometimes also called culturally relevant teaching. This mode of teaching aims to be aware of how culture, ethnicity, race, socioeconomic status, language, gender identity and religious background may impact students’ learning experiences. In many school contexts, student diversity far exceeds the diversity of teachers. Such an imbalance means students do not always encounter educator role models who reflect diverse cultural backgrounds throughout their schooling. Thus, one aspect of promoting CRT is increasing efforts to attract a more representative demographic of teachers. Recent analysis from the Organisation for Economic Cooperation and Development (OECD) suggests that in most OECD countries the typical person who expects a career in teaching at age 15 is a female with no immigrant background. The findings are based on a question to 15-year-olds on 2006 and 2015 Programme for International Student Assessment surveys: “What kind of job do you expect to have when you are about 30 years old?” (4.5 per cent of non-immigrant respondents said teaching; only 3.1 per cent of immigrant respondents said teaching). The OECD survey did not capture racialised identity. But more fine-grain analyses within the traditional Western destination countries suggest racialised people and Indigenous groups are particularly underrepresented among teachers. For example, Canada’s largest and most diverse province (Ontario) has a significant teacher diversity gap as evidenced by fairly recent demographic data. Racialised people represent 26 per cent of the provincial population, yet comprise only nine per cent of the 117,905 elementary school and kindergarten teachers and 10 per cent of 70,520 secondary school teachers. Targeted teacher recruitment efforts are one strategy to improve racialised teacher diversity. Enrolment targets or quota admissions are others. Specialised programmes for Indigenous peoples such as the teacher programme focused on Aboriginal Education at Brock University or Maori Medium Teacher Education in New Zealand demonstrate efforts to grow the number of Indigenous peoples in teaching. But strategies such as as diversified recruiting, quotas or specialised programmes would take time and will likely struggle to keep up with changing student demographics. Hence, providing relevant cultural training and professional development for aspiring and experienced teachers becomes even more important. Such training needs to extend beyond traditional multicultural education approaches, or what has been called a “tourist” curriculum characterised by occasional or “highlight” additions. 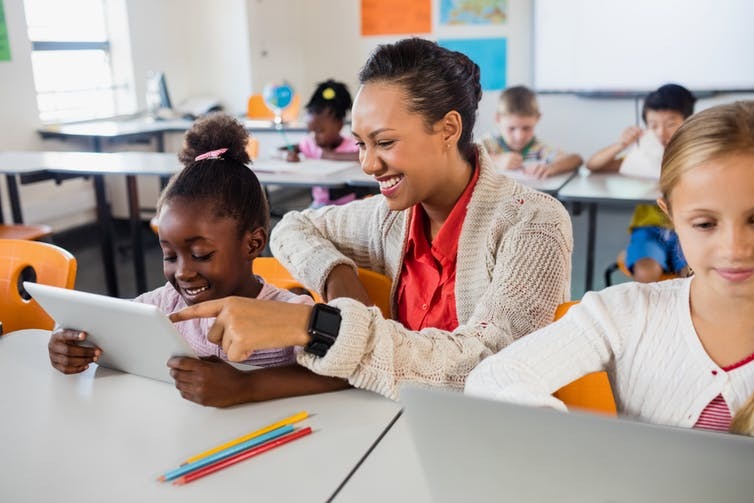 Instead, training for teachers must model a multi-dimensional approach that includes integrating content from diverse cultures and experiences, and critically examining how cultural identity impacts learning. Our experiences with teachers and teacher education programmes globally reaffirm research findings about recognised practices in teacher education that impact student success. For example, teachers programmes should help teacher candidates critically consider their own identities in relationship to societal inequities and prejudice; optimally, with growth and maturity, they learn how to model deep inclusion. We also want to draw attention to an area that has been neglected in broader discussions of CRT – namely, assessment and evaluation strategies. Most educators now accept that student assessment is the beginning point for instruction, not simply the end. That means assessment can be a powerful support when used throughout learning stages to provide meaningful feedback to students. Teachers need to carefully consider assessment and evaluation before they begin a lesson or unit of study and to use assessment to monitor students’ learning. However, assessment continues to operate in more traditional ways: it continues to be used primarily as a measure of students’ final learning in courses through tests and exams or through large-scale provincial, state or national testing programmes. Teachers’ competency in using assessment to support student learning and to accurately report on it is called “assessment literacy” — so named for the ability to “read” a class to develop fair, relevant and supportive assessment. Teachers must learn culturally responsive frameworks to develop fair practices for obtaining accurate information about students’ learning. Our research suggests competency in developing assessment can be enhanced through effective professional development. The issue of fair assessment also raises questions about system-wide standardised testing, often used for accountability purposes. Standardised testing can be biased, for example reflecting foremost the experiences of white middle-class students. Thus we acknowledge the need to combine the dual movements of CRT as focused in teacher recruiting and training with greater attention to responsive assessment. Unless that happens, CRT will only find limited success in creating classrooms that ensure learning and achievement is attainable for all.